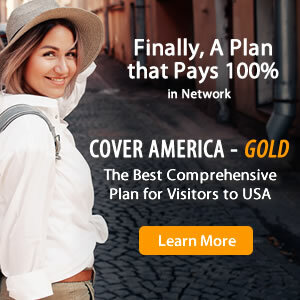 Patriot Exchange insurance is a travel insurance plan designed to meet the US visa requirements for a student studying abroad or a participant of a cultural exchange program including J1 and J2 visa holders. After the deductible, this plan pays 100% per incident up to the policy maximum. Travel medical protection offered by Patriot Exchange includes outpatient treatment, emergency services, emergency medical evacuation, and more. Patriot Exchange Insurance offers coverage for a duration of 1 month to 48 months. Patriot Exchange is best suitable for students and scholars who are studying abroad or participating is a cultural exchange programs. Under this plan, participants spouse and unmarried dependent children traveling with them on a J2 visa are also covered. This policy meets the US requirements for J1 and J2 visa holders. Only after 12 months of continued coverage. How to Buy Patriot Exchange Insurance?